Whether you are one of the thousands displaced by this terrible natural disaster or you are going through your own personal flood of trials, know this one thing…He is with you and has gone ahead of you! 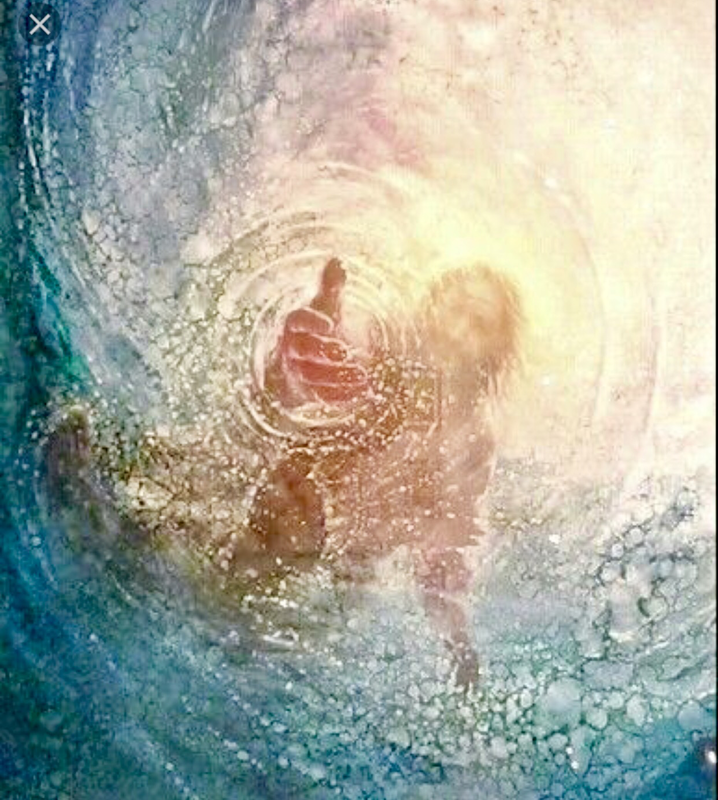 Though you may not be able to see Him through the water and waves, He is there. He walks on water and will meet you right where you are and call to you to “Come“. He holds all of the answers in His hands and He goes before you. From your current view, tomorrow may only hold dread and what appears to be hopelessness but your precious Jesus is calling you back into this very moment and day to find His hand reaching to help you here and now. Once again, He goes ahead of you and will make a way for your tomorrow. Do not allow your thoughts to travel where His mercies have not yet rested upon you as of yet; He is already there so you can rest and trust Him. His mercies are in this day and He has not left you now and will not forsake you tomorrow. I have lost a home to fire in 2008 and been in a city that was surrounded by a firestorm (in 2003); I remember the shock and pain (and panic). He was in the day and in the “days to come” and made a way where there appeared to be no way. He will do that for you as well; in whatever you are facing. He will not leave you helpless. He is ALL AROUND YOU! I am praying for all of you in Texas and all of you that are facing pain and trials that have flooded you with fear. His light will appear and rise within the darkness you are facing. He is the God who makes all things new. I am love to all of you who are hurting. Half of all donations that come in today will be given to victims of the floods in Texas. We will give directly to people that we know personally that have lost homes and need immediate support. Funds will go directly to them today.